I am slowly but surely making my way though the list of top steak houses in the world that was released by the telegraph in July of this year. Starting with North America due to the proximity I’ve hit two on the list previously and when I was in Chicago I knew I had to hit the third. The timing wasn’t great, I mean I just went to Jim’s and Avec but there was no way I was going to miss Gibsons. 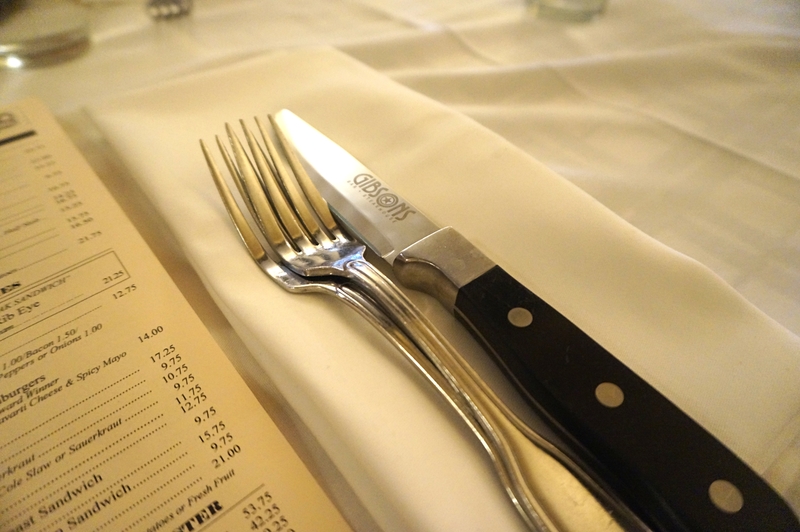 The place had a late sixties vibe, it had the classic steakhouse look I’ve come to expect, waiters in white, dimly lit, and wood grain everything. I perused the menu and ordered the Wrigley cut weighing in at 22oz. It was a famous reporter who frequented the place a lot in the 70’s and was he immortalised on the menu. 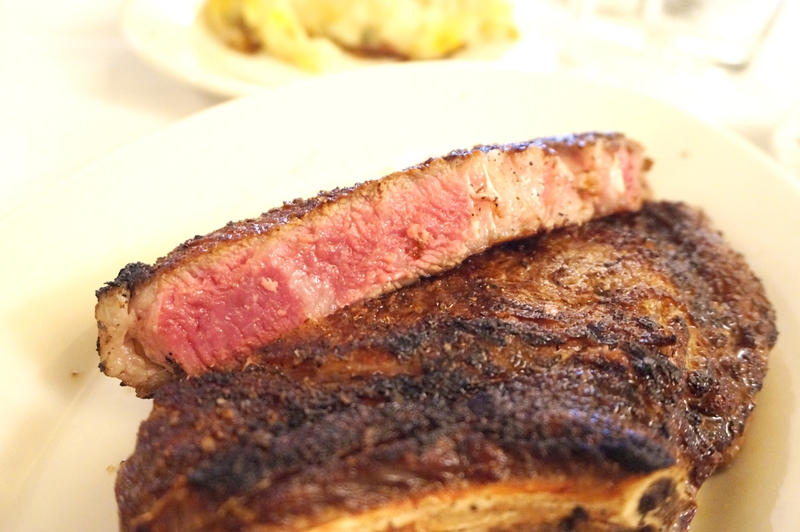 The cut was a USDA prime, corn-fed beef that gets wet aged up to 50 days. To go along with the steak I got the double mashed potatoes, after having a similar experience at Moishes I was excited to try it again. 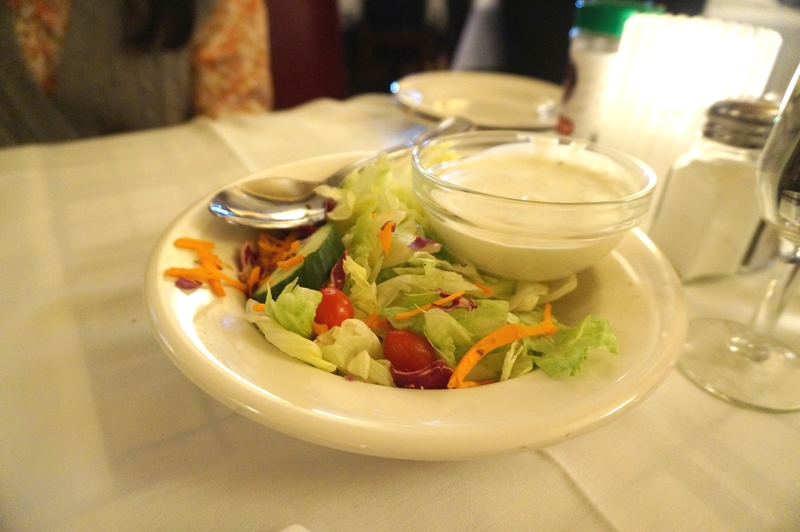 We were started off with their house salad. A horribly basic and sad blow of iceberg lettuce and shreds of carrot: the best part was the blue cheese sauce. It was wasted on the salad but went great with the bread. The steak arrived on a plate unaccompanied and had a beautiful heavy crust on it. Based on the look alone this Steak was going to be something special. 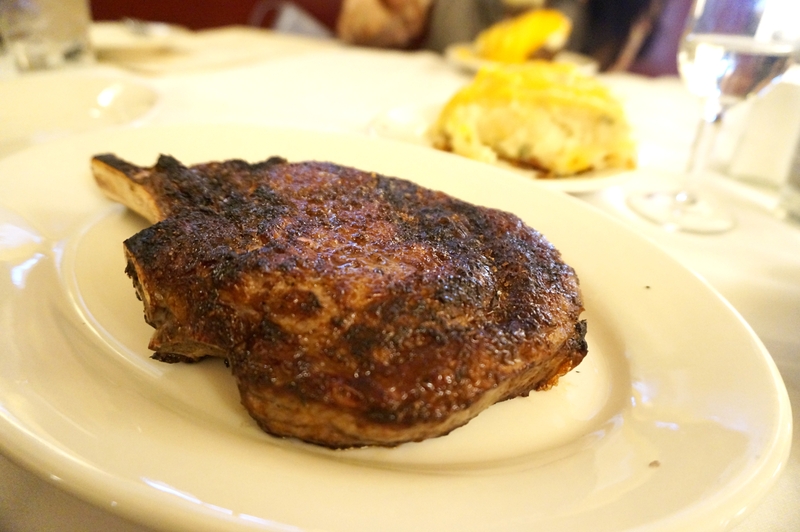 The WR cut is a large rib eye on the bone and was cooked to rare perfection. I’m a sucker for the corn-fed variety of beef here in the US, and it was no exception, fatty and marbled it had a great beefiness that was rich and flavoursome. It was tender enough to have that slight melt in your mouth texture but also still require you to chew a tiny bit. Overall it was possibly the most accurately and precisely seasoned Steak I have ever had. The double baked potato wasn’t as good as Moishes but was a fitting side, cheesy potatoey goodness. 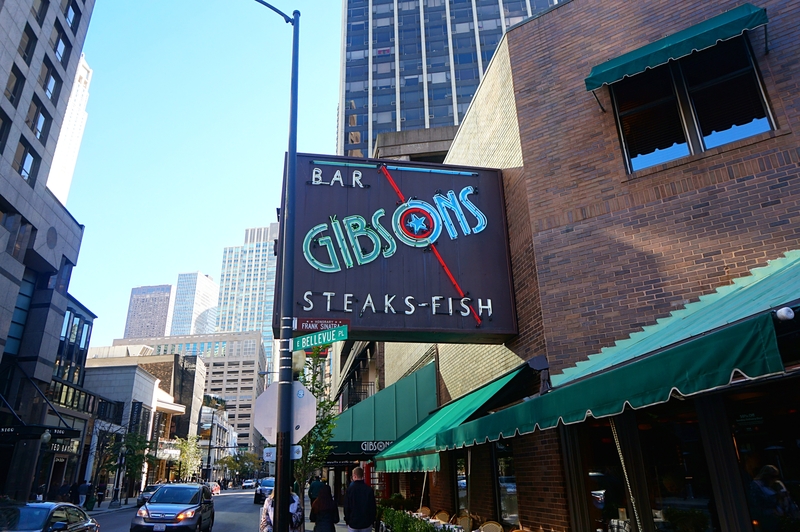 Apart from the waiter we had and that atrocious salad I would gladly recommend Gibsons to anyone looking for a fantastic steak. 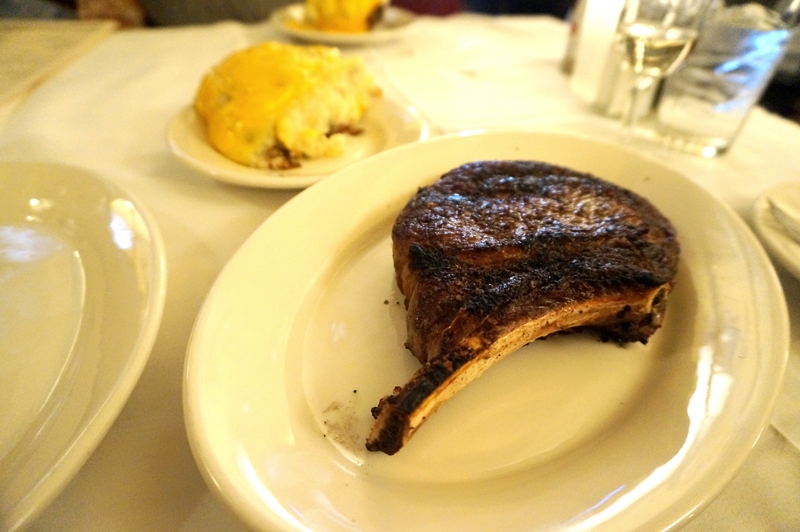 Posted on November 26, 2015 by AdrielPosted in Chicago, Steak, United StatesTagged chicago, Great, Rib Eye, steak.